With deer season here, it’s time for hunters to think not only of whitetails, but of the future. This is it, the time of the year that sparks local economies and pays for wildlife management across the country. According to the U.S. Fish and Wildlife Service, hunters spent $26.2 billion in 2016 – the latest year for which statistics are available – on expenditures ranging from gasoline to ammunition to licenses. Big game hunters alone, led by those pursuing deer, accounted for 57 percent of that, or $14.9 billion. But there’s trouble out there. Between 2011 and 2016, the Service noted, the number of hunters in America declined by 16 percent, from 13.7 million to 11.5 million. Big game hunters declined by 20 percent. “The level of hunting in 2016 puts it at the lowest level in at least 25 years,” the Service said. Yes, there will be hunters in the woods this year, and they’ll kill deer and spend lots of money to do it. But if the trends continue, who will take their place next year? In five years? Ten? Twenty? Increasingly, those in the hunting industry are saying that it’s up to today’s hunters – the everyman chaser of deer — to recruit his replacement, at a minimum. “But to do that we’re going to have to be more inclusive, more tolerant and more aggressive and innovative than we’ve ever been,” said Brian Murphy, CEO of the Quality Deer Management Association. He and Matt Kormann, president and CEO of the Archery Trade Association, recently talked about what that might look like. The Council to Advance Hunting and the Shooting Sports – a leader in the “R3” movement, which focuses on hunter recruitment, retention and reactivation — sought the perspective of each, given that they come at hunting from different directions. Murphy is a lifelong hunter. Kormann just recently took it up, as an adult. Murphy discussed being a mentor, while Kormann talked about being a mentee. Both referenced some struggles, or at least nervousness. Kormann, for example, was involved with competitive archery through a daughter. That gave him the “itch” to try hunting. “But it was so intimidating for me to get started,” he said. “As eager as I was to go that first time, I was concerned. Because here I come in my 40s, and older dog trying to learn a bunch of new tricks all at once, and I’m trying something completely new that has some pretty significant consequences. Murphy, by comparison, grew up hunting. And he became a mentor early, as the oldest male in a single-parent household. It fell to him to teach his younger brother to hunt in the rural South. More recently, though, he’s mentored people of all ages, genders, races and backgrounds. He wasn’t sure they would understand one another, especially given the variety of motivations for hunting. 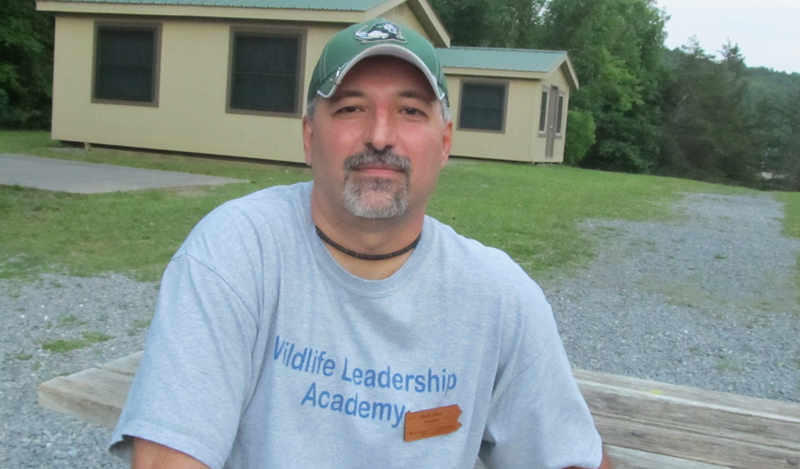 In “traditional” mentoring, the kind he’s used to, hunters actively try to kill a deer. But one coworker who’s accompanied him hunting carries a crossbow into the woods, and sits on stand with him. She doesn’t load it, though, and isn’t sure she can or will. Another woman he took out, meanwhile didn’t feel right about having her photo taken with a dead deer. “I think there’s a real good lesson here. Because everyone comes to hunting in different ways, at different speeds,” Murphy said. A veteran hunter may want to hold out for a large-racked buck, he said. But a newcomer, interested in filling a tag and putting meat on the table, might want to shoot the first elgeal deer they see. “And I really think it’s up to the mentor to understand that each situation is very unique, each person is very unique, and you don’t try to instill your value system on them. You just simply try to make it a welcome environment and cater to the diversity of motivations and capabilities,” Murphy said. Mentees have a duty to shape their experiences, too, though, Kormann said. For years, he was a business mentor, he said. That’s a structured environment. Mentors and mentees meet, usually for 30 to 60 minutes on an appointed day once a month, and talk. Hunter mentoring is more less formal, he noted. It’s a combination of emailing, calling and texting questions and time spent afield with a partner. But there’s one constant between business and hunting mentoring. “The onus of responsibility is really on the mentee. It really needs to be the mentee’s responsibility to have the confidence to reach out on a regular basis, any time they need something,” Kormann said. Both believe there are more would-be hunters out there than some might imagine. Murphy said he discovered would-be hunters at work, in church groups, civic organizations and elsewhere. “They’re everywhere. So there are opportunities to get engaged,” he said. There are multiple ways to be a mentor, too, Kormann said. Some have served him by teaching him woodsmanship skills. Others have taught him about specific wildlife species, others how to cook wild game. “That’s important to remember. There are all these offshoot opportunities we don’t think of,” Kormann noted. Indeed, some veteran hunters are reluctant to take on a mentoring role, unsure of their own value. “A lot of people really underestimate their ability to be a really good mentor,” said Samantha Pedder, business development director for the Council. They must overcome that, Murphy said. Hunting needs to undergo a “complete paradigm shift,” he said, where the every hunter understands the need – their “obligation” and “responsibility” — to recruit at least one person to take their place, if not more. Hunters served as conservation heroes once before. A century ago, unregulated market hunting and habitat loss combined to almost eliminate big game species across North America. White-tailed deer, elk, turkeys, geese, all nearly blinked out. He’s optimistic they can similarly restore hunters. Kormann agreed. He’s not ready to mentor anyone just yet, he said. He’s still learning himself. But he’s looking forward to the day when he’s ready for that role. “My goal is to learn enough to be able to give that back, to give back that gift that I’ve received,” Kormann said. Deer seasons, those open to hunters using firearms, are underway or about to be in the 30-plus states where whitetails roam. 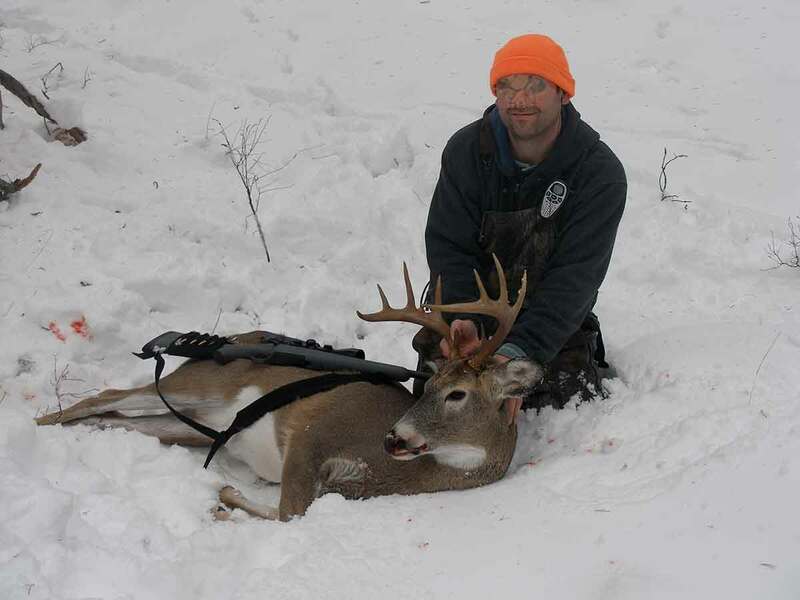 Michigan hunters took to the woods starting Nov. 15. The season started on Nov. 17 in Wisconsin, New York and Tennessee. Hunting began Nov. 19 in West Virginia and New Jersey. Hunting begins Nov. 26 in places like Massachusetts and Pennsylvania. Everywhere, that activity has good biological consequences. Southwick Associates, an outdoor economics research firm, pegged deer hunting’s impact In West Virginia at $500 million each year. “Deer hunters spend an estimated $230 million in West Virginia, much of it in the rural areas of the state that depend upon the deer seasons for a large portion of their annual income. Hunting is estimated to be responsible for 5,400 jobs and $35 million in sales taxes on goods and services spent in West Virginia,” said the state’s Division of Natural resources. The hunting is not always easy, though. And some years it’s trickier than others. That might be the case in Pennsylvania this fall. According to the Game Commission, precipitation through spring and summer fostered an exceptional supply of fall foods, from grass to soft and hard mast crops to corn. All that abundance makes it hard to figure out deer movements. So hunters should “confirm deer activity in areas they plan to hunt before they commit to them,” the commission said. Deer usually make a mess wherever they eat, the commission added, so hunters should look for raked up leaves, droppings and partially eaten mast for confirmation of deer presence. Then, they should set up so that prevailing winds blow from where you expect to see deer to your location.